An activist shareholder wants to bring back the Yahoo sign (among other plans to save the company). An activist shareholder is calling for Yahoo to radically change its strategy, fire CEO Marissa Mayer and even revert to its old logo. Eric Jackson, managing director of SpringOwl Asset Management, a New York-based hedge fund, has sent Yahoo's board a scathing review of the company's management. In a 99-slide presentation, Jackson detailed his plan to turn Yahoo around. Despite Mayer's efforts to jumpstart Yahoo's Internet advertising business over the past three-and-a-half years, the company has only lost ground to Google and Facebook. Many analysts and observers have commented that Mayer took on an impossible task of turning around Yahoo, which was already a lost cause by the time she became CEO. But Jackson vehemently disagrees with that notion, arguing that Mayer just isn't up to the job. "It's not impossible at all," said Jackson in his slide presentation. "That's like watching Shaq shoot a few free throws and concluding it's impossible for all NBA players to make free throws." Firing Mayer would cost at least $25 million in severance, and she's currently on maternity leave. So firing her would be tricky. But that's just the start of Jackson's multi-point plan, which was first reported by the Wall Street Journal. -- Replace many of the the board members, who Jackson says do not have sufficient experience in mobile and technology. -- Eliminate 9,000 of the company's 12,000 jobs, amounting to about 75% of the company's workforce. He called Yahoo "dramatically overstaffed." -- End employee perks, such as free food, which cost the company $450 million over the past four years. -- Buy back $10 billion worth of Yahoo's stock, which he says will raise the stock price by $23 a share. 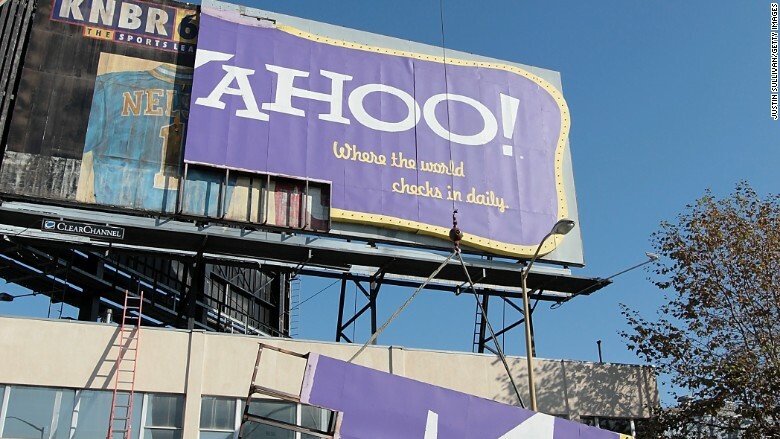 -- Revert to the old logo and bring back the iconic old Yahoo billboard on Route 101 into San Francisco, "to send a message that the era of Marissa Mayer is now over." -- Hire a new sales-and-operations-minded CEO who won't exhibit any "snobbery when understanding and embracing Yahoo's core audience," particularly those who don't live in "the bubbles of high society San Francisco and New York." -- Focus Yahoo's business exclusively on its legacy products like its home page and mail, doubling down on Yahoo Finance and Sports to grow traffic. "There's a very low probability that Yahoo is going to recreate how people search on a mobile device," Jackson said. "Google and Bing have won that war; Yahoo lost. It would be nice if history had gone differently for Yahoo, but it didn't; and we all must live in reality now." Jackson said he believes his plan will unlock billions of dollars of value in Yahoo (YHOO), ultimately taking the stock price from $35 to $113, helped by Yahoo's stakes in Alibaba and Yahoo Japan. He's not alone in his pitchfork and torch routine. Activist shareholder Starboard Value, which holds a significantly larger stake in Yahoo, got the company to reverse its previous plan to sell off its lucrative Alibaba stake. And Canyon Capital Advisors sent a letter to Yahoo's board on Friday urging the board to find a buyer for Yahoo's core Internet business. Yahoo's board said last week that it is not actively exploring a sale.